Well equipped Hunter 34 with shoal keel, radar and many more cruising features. 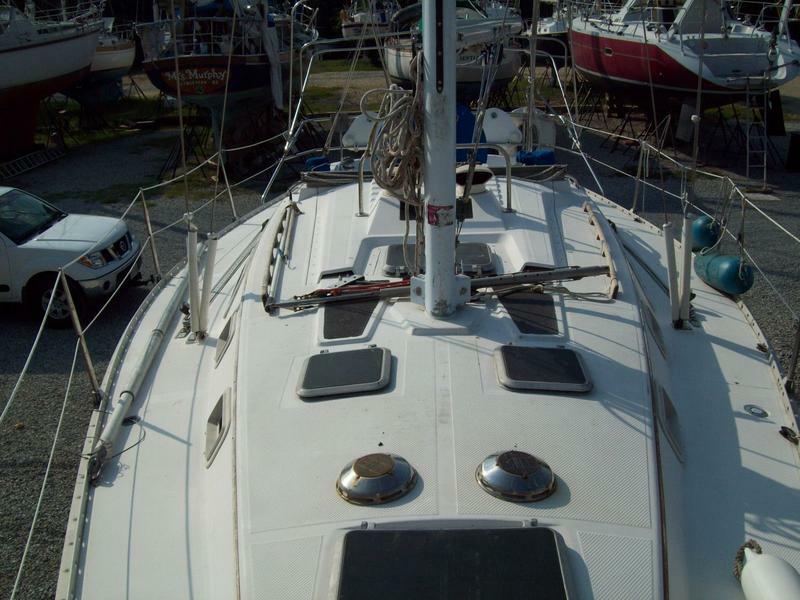 Hull polished, bottom in good shape and overall a clean boat. The Hunter 34 is an ideal bay/bahama cruiser. 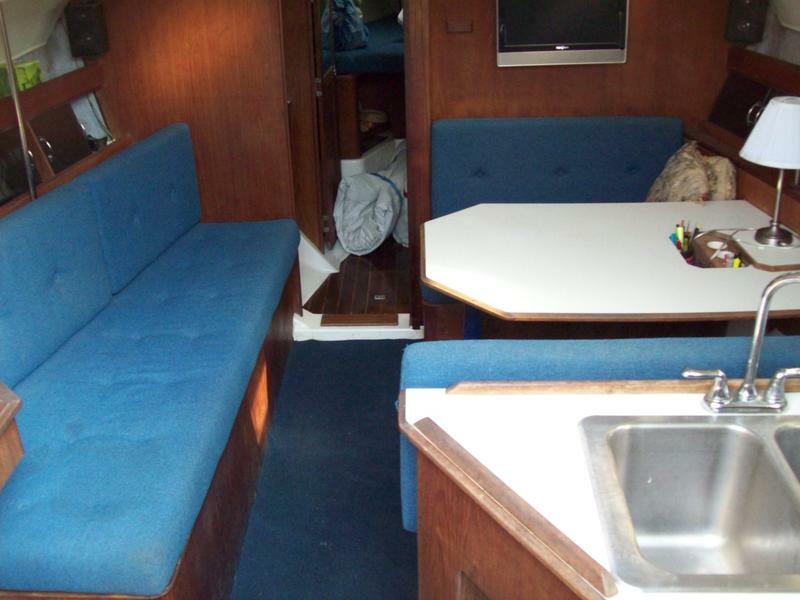 Fast, shoal draft and very roomy. Go cruising for low investment. Located on land near Annapolis, Maryland. 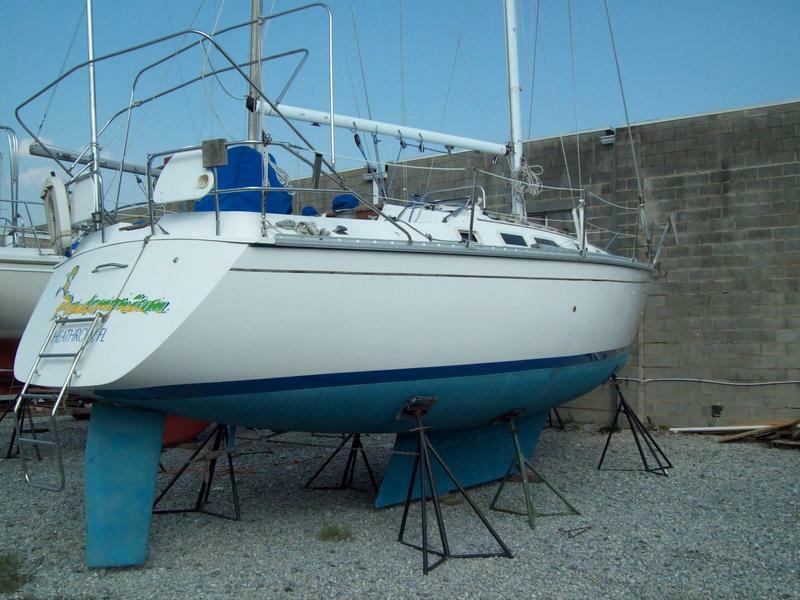 Yanmar 24hp diesel; Main, roller furling Genoa and Spinnaker – all in good condition; ladder, anchor well, lifelines, sail cover, dodger, bimini, cockpit cushions, backstay adjuster, wheel steering, sleeps 5, aft cabin, teak cabin sole, 6.3′ headroom, pressure, hot water, shower, 4 batteries, alternator, battery charger, nav lights, depth, knot, VHF, compass, fridge, stove, oven – pretty loaded for cruising!